Specialist interiors business and one of the UK’s best loved brands and retailers Fired Earth, began its journey with Alltruck in 2003, when the company approached us to manage a number of its commercial vehicles. From there, the relationship has gone from strength to strength and today Alltruck is proud to say Fired Earth is one of our longest standing customers, to whom we currently supply 13 vehicles after 15 years of working with the company. 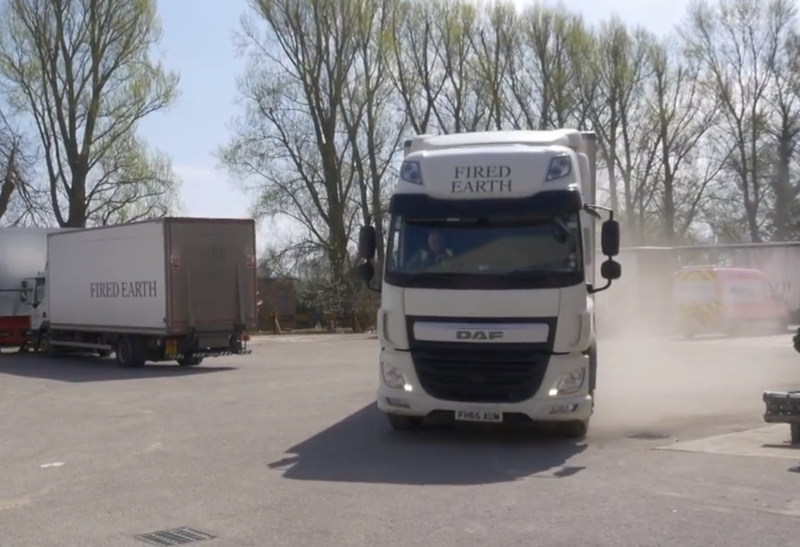 As a retailer of award-winning tiles, paints, bathrooms and kitchens, with customers across the UK, Fired Earth need a fleet of reliable, high quality commercial vehicles for the delivery of their high quality, beautiful goods. Essentially, they needed trucks that were just as brilliant as their products. Like Alltruck, Fired Earth has a prestigious reputation and only works with companies that truly understand its exceptional service offering that matches its product quality and pedigree, and in turn the value it provides to its customers. We are proud to say that so many of Alltruck’s values chime with those of Fired Earth – quality, customer service and reliability, and this alignment makes Alltruck the perfect fit for Fired Earth. The durable Fired Earth fleet has been built to last at our esteemed Loughborough Bodyshop and each vehicle has been maintained to the highest standards at every step of their journey. Alltruck’s two state-of-the-art depots in the East Midlands – which include a facility for HGV MOT testing and a managed network of quality service agents up and down the country – ensure that the Fired Earth fleet is maintained no matter where it is in the country. “We have had a strong relationship with Alltruck since 2003. An excellent level of service has consistently been provided by the Fleet team, the mobile technician and the office team, who are all always on hand to help. Alltruck’s mobile technician, has been instrumental in building the relationship between Alltruck and Fired Earth and is considered as very much a part of the retailer’s own team. Mr Smith added: “He comes to us every Friday to complete any required vehicle inspections and is always on-hand if we have any vehicle defects at any other times that prevent deliveries being despatched. He really does play an integral part in keeping the Fired Earth fleet on the road and is a very valuable asset to our team. “It is very easy to work with Alltruck. They are extremely helpful, and you know exactly who you need to speak to. If you would like to start your journey with Alltruck please get in touch so we can learn more about your business and its needs.